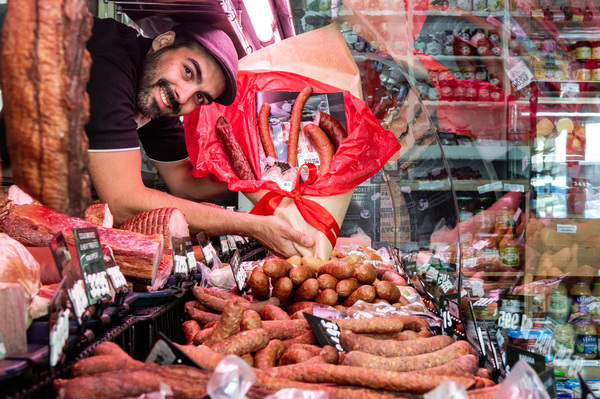 Born out of necessity, for those who prefer an armful of meaty treats to a flower arrangement, Uncle’s Smallgoods will be delivering Sausage Bouquets this Valentine’s Day. Pictured is Brendan D''Amelio. 190131_15. After a media storm and huge success last year, the Sausage Bouquet is back for Valentines Day. 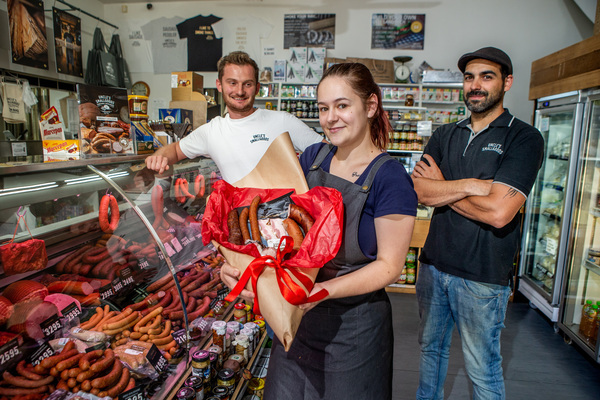 Born out of necessity, for those who prefer an armful of meaty treats to a flower arrangement, Uncle’s Smallgoods will be delivering Sausage Bouquets this Valentines. Impress and amaze your special someone with a colourful array of smoky meats. Taking sales from traditional florists, like previous years, hundreds of lucky lovers will be chowing down on sausages from beautifully presented half dozen and dozen stem bouquets.